I'm pretty sure this is only the second turtle I've ever seen here at this house where I grew up. I went outside after the rain cleared up and saw something down at the end of the driveway but brushed it off for about 10 minutes until I noticed it was on the edge of the road. I went to investigate. By the time I got there he was in the middle of a lane and a car was coming. Impulsively, and perhaps foolishly, I quickly went out to grab him out of the way. 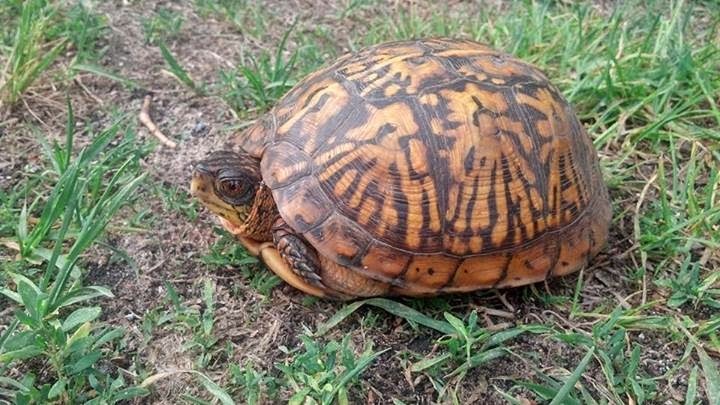 (The car was really close at this point) Very pretty Eastern Box Turtle. I took a few pictures and then brought him to the other side of the road. As mentioned, it rained. I didn't expect to get any work done on the motorhome once the rain came but it cleared up and I went to work. 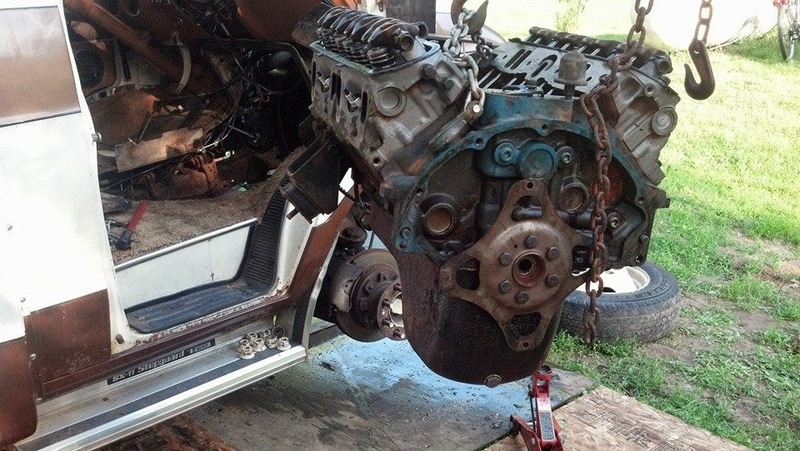 The above picture is actually from yesterday, after I got the transmission disconnected and out of the way, but before I stripped down the engine. In my mind, the transmission was going to be the hardest part of this project because it was the only thing that hadn't been disconnected within the last year. This was today's project. 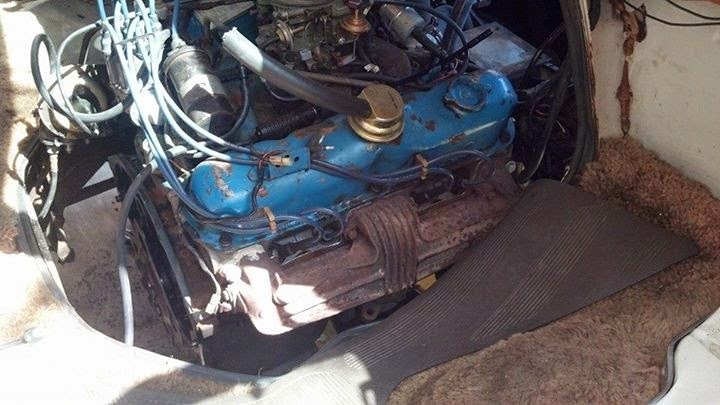 This is after I had to resupport the engine from inside to remove the jack from the underside so that I could take the front tire off and jack up the passenger side in order to get the legs of the cherry picker where they needed to be. Also after I removed the door. Typically these engines would come out the front, and that is their intended way. However, that requires dismantling the entire front of the motorhome and that sounds like a ton of work. I had done enough research online to know that it was possible to take it out the passenger side door. This involved a lot of going an inch here and an inch there. Overall it would have been easier had I removed the fan before I started, but I didn't. My dad was right again. My boss stopped by right about at the same time that the above picture was taken. 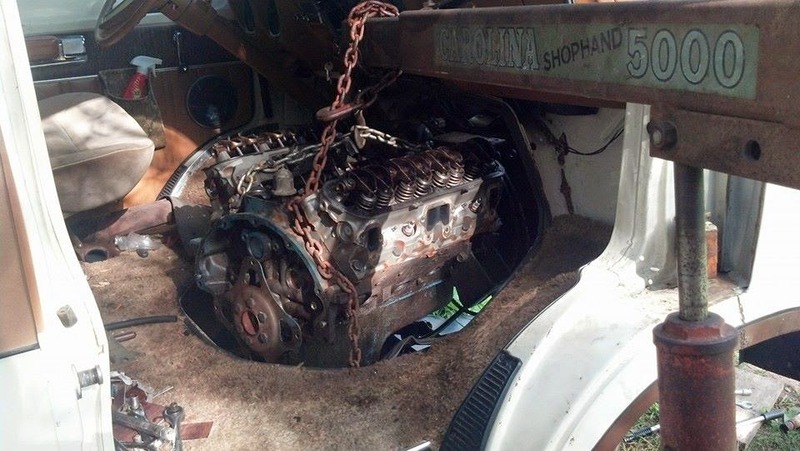 I texted him 15-20 minutes after he left with the below picture of the engine outside of the vehicle. He told me he had to admit that he was skeptical it was going to work. Hahaha.